What started as a question evolved into a business objective. 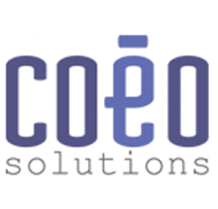 COEO is a service company built on a technology foundation—a SIP and MPLS core built from the ground up. We are the brainchild of experienced telecom experts who saw a significant gap in the market—a divide created by industry leaders more concerned with higher profit margins than client's needs. By bridging business connectivity and customer service, we fill this void for customers who have become frustrated with the support they get from their legacy carrier. MPLS and VaaA (Voice as an Application) is what we deliver. Enhanced business connectivity through collaboration is what we provide. We do this through great people, passionate support, and top-notch technology. And we do so without the burdens of a legacy network infrastructure and outdated systems and processes. Our platform delivers MPLS and SIP trunking to your enterprise so you can concentrate on your business. Let us manage your network. We want to hear from you. We want to listen to you. And we want to offer the services you need—not just today, but also years down the road. We want to work with you: to collaborate, communicate, and connect.